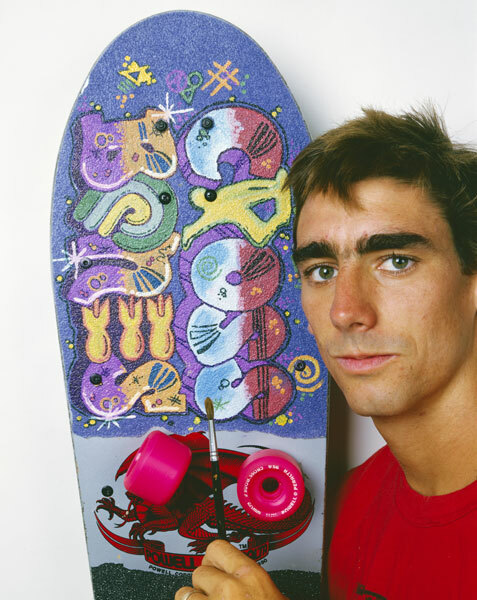 Lance Mountain is going to be inducted into the Skateboarding Hall of Fame on Thursday, May 15, 2014! Other inductees are: Gregg Carroll, Jim Muir, Steve Olson, Natas Kaupas, Laurie Turner, and Ellen Oneal Deason. Bones Brigade® Lance Mountain Future Primitive Reissue Deck in Pink HERE. Lance gets knocked out, hazed, in trouble with mom and more in this episode of "Free Lunch." "Lance shreds the pool in his own backyard and talks to Maker Music about meeting George Harrison, the evolution of skate, and why skaters can't have mustaches." Lance drops true wisdom about how to fight a bear, his Top 3 favorite skaters and what's the worst drug of all in this episode of 5&5. Lance's part in Flip Skateboards "Extremely Sorry" video is so amazing, you will watch it more than once in one sitting. Backyard ramp sessions are often epic but this is one for the ages. Here's Lance, Hawk, Cab, McGill, Grosso, Blender, and others in a segment from "Future Primitive."